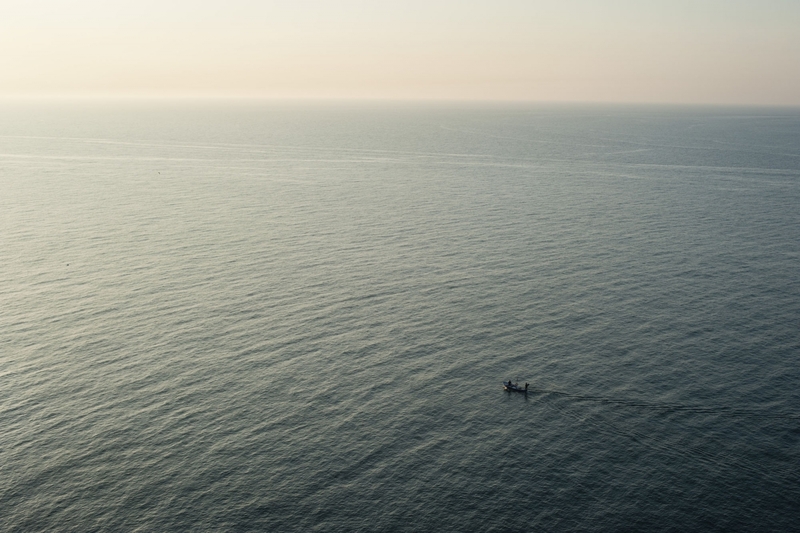 For centuries the Black Sea has supported small fleets of fishermen, chasing anchovies in their yearly migration. With global warming and the arrival of voracious factory ships, small communities are finding it harder to support themselves solely with fishing. Amasra has become a destination for weekend tourists and locals looking for a seaside getaway from the cities of Karabük and Safranbolu. The city of Sinop was once a fearsome citadel and an important stop for traders following the Silk Road. Today its fishermen are worried about the future of the anchovy harvest. Every year the fish arrive later and later and invariably the season is often shorter. Fishing requires constant maintenance, whether re-stitching nets or repairing salt worn gear. 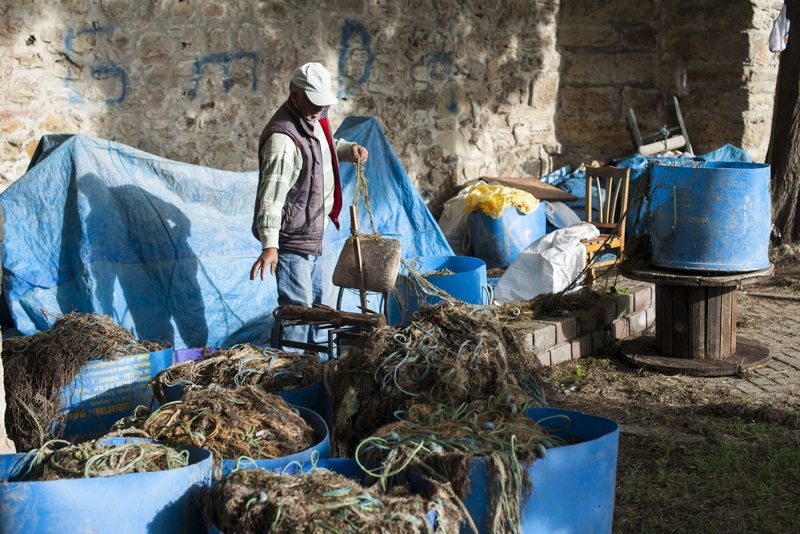 It is not uncommon to find nets throughout Sinop draped on buildings, docks, or moored boats. 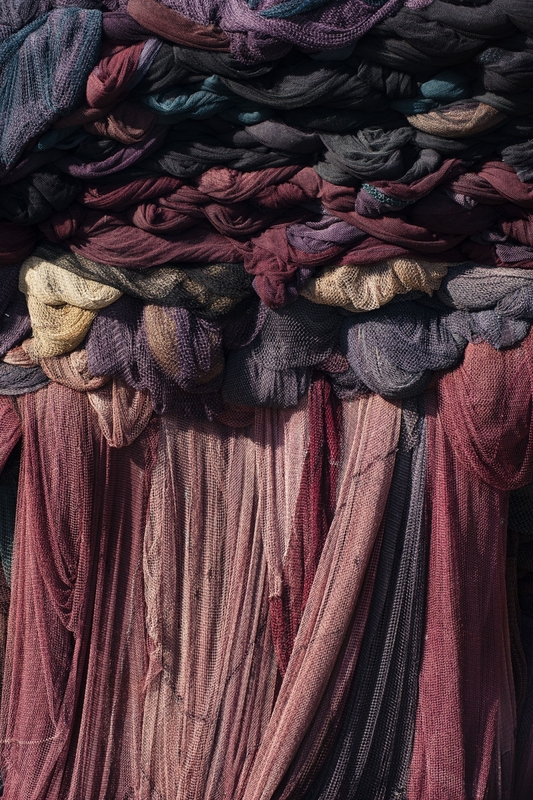 After constant exposure to sun and salt, nets fade into a rainbow of purples and blues, reflecting their age and experience. While some towns are able to persist on a combination of tourism and fishing, economic pressure has closed many local businesses in small communities. 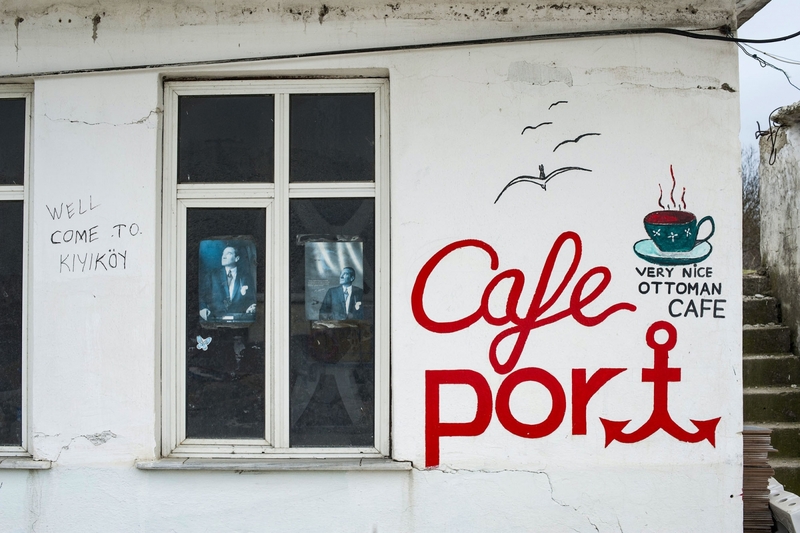 The dockside “Café Port” in Kiyiköy now hosts fishermen repairing nets, rather than people nibbling fried fish and sipping tea. Anchovies, or hamsi, are a food persistent throughout Turkey. If they are not served fresh, they are often frozen and placed in the storage compartments of buses, taken inland to Anatolia and beyond. People consider the best time to eat hamsi is in the Winter, often beginning in November when the fish put on a little fat for the migration past the coast of northern Turkey. 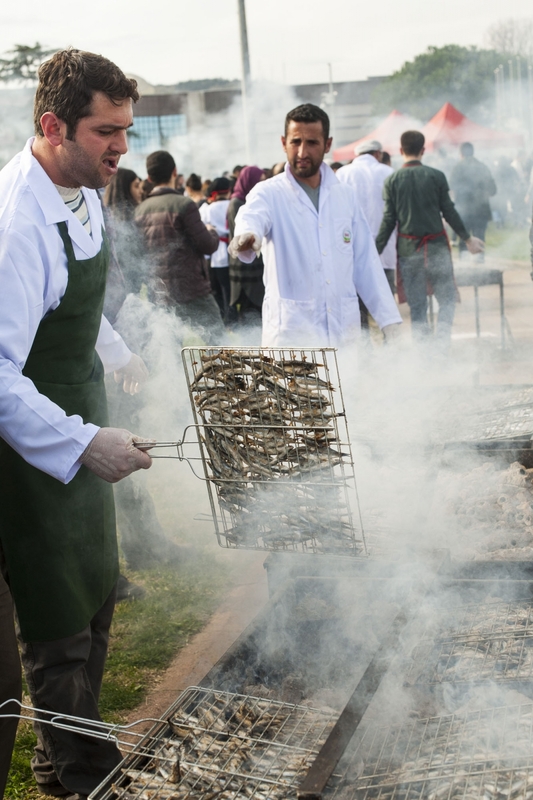 Every year Karadeniz Technical University hosts a free anchovy feed. 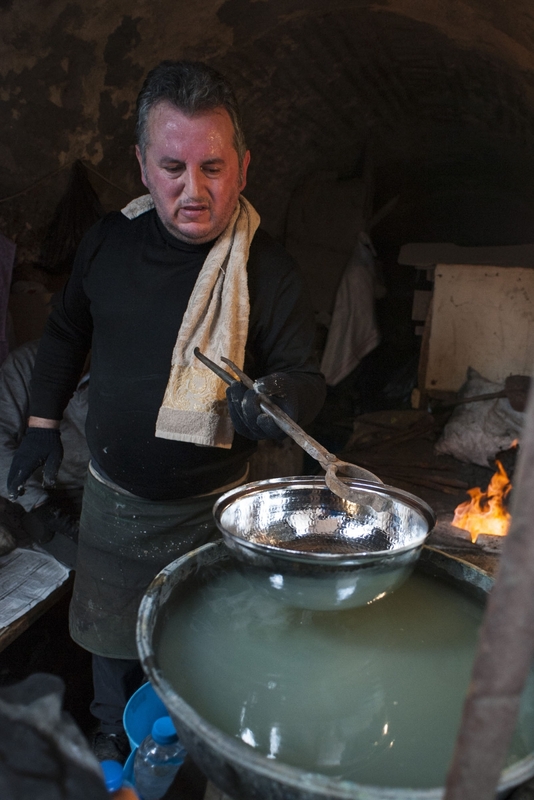 The fish are cooked over charcoal barbecues and can be smelled throughout the city. 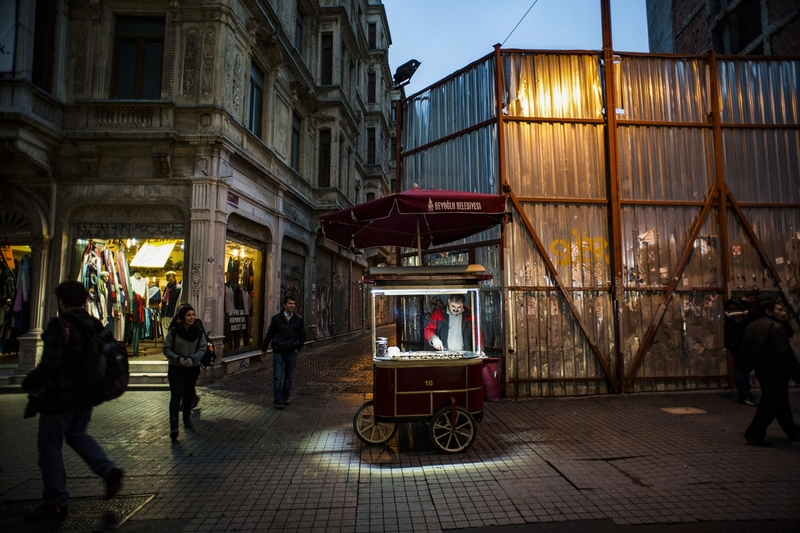 Turkey today occupies a key area historically frequented by caravans of traders. 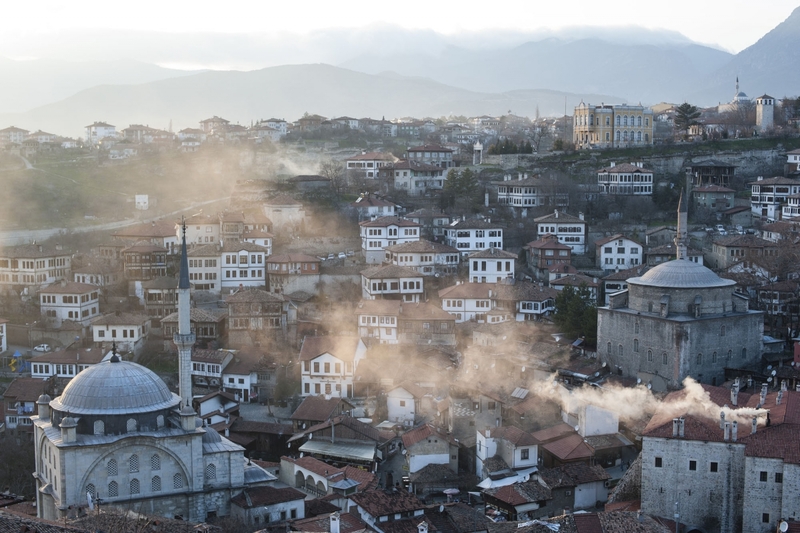 Safranbolu derives its name from the prevalence of saffron that was produced and transported through the city. While many ancient industries collapsed with modern mechanized production, historic holdovers have been preserved due to their cultural significance and tourism. Safranbolu is a UNESCO World Heritage Site. Markets serve as both social and economic hubs. They reflect seasonal changes in produce and regional specialties. 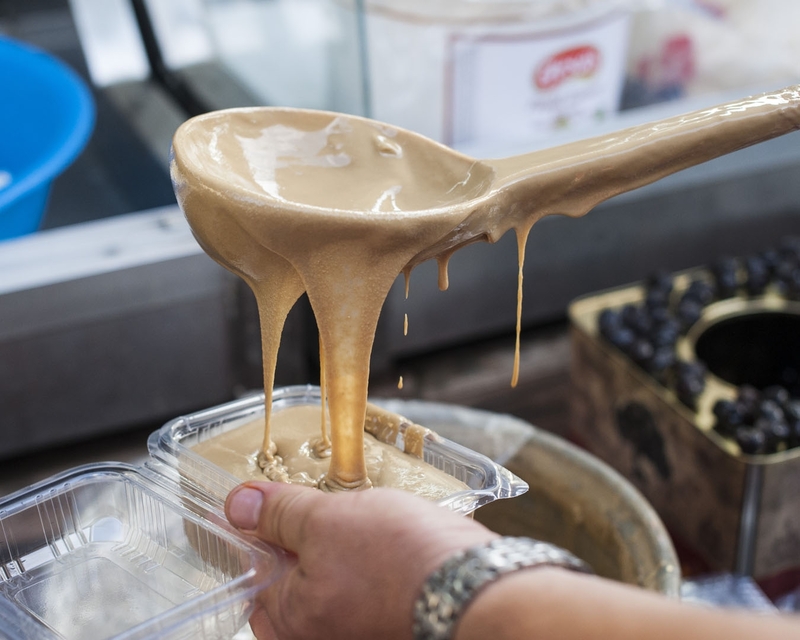 In Sinop it was possible to find bulk tahini as well as several unusual fruit molasses particular to the Black Sea. Markets host a mix of professional sellers from greenhouses and local farmers. Shoppers will often scour the whole market before settling on which stall to purchase from. Frenzies for special deals will attract a horde of eager buyers until the produce disappears into sturdy plastic shopping bags. Sometimes it is possible to make requests of skilled vendors. 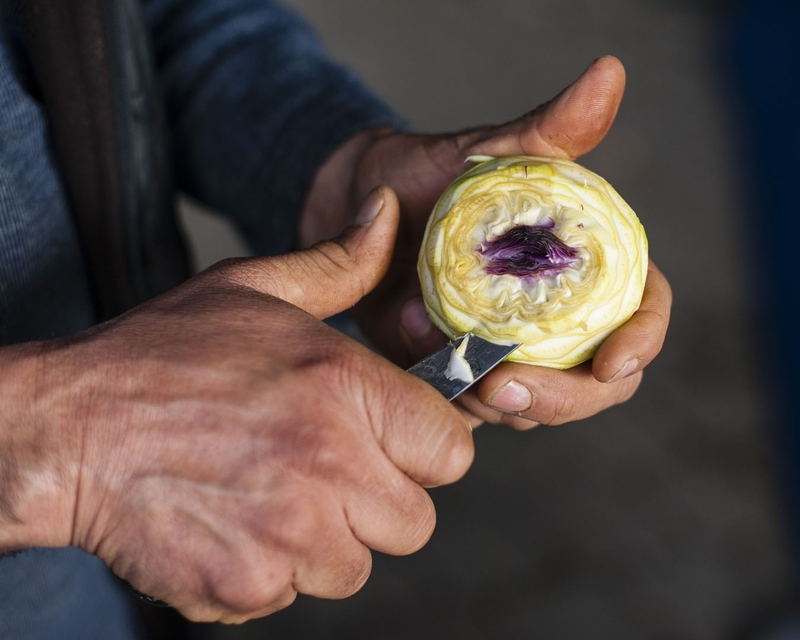 For those not versed in the cleaning of artichokes, a stall in Edirne offered fresh, cleaned hearts at a premium. Apart from produce, certain special food vendors provide hungry shoppers with a bite to eat. 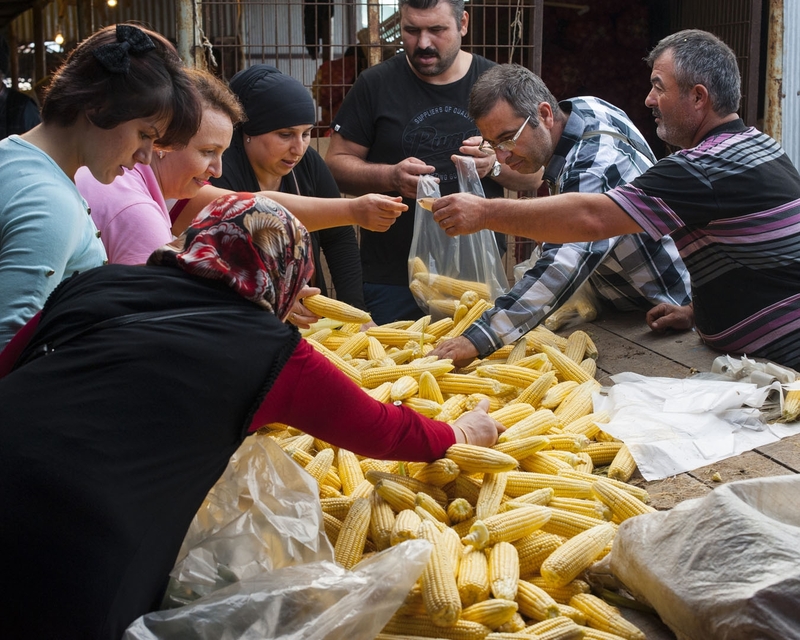 Cemil Tuncay has spent over the last two decades selling kokoreç on market days during lunchtime. It is not unusual to have to wait. 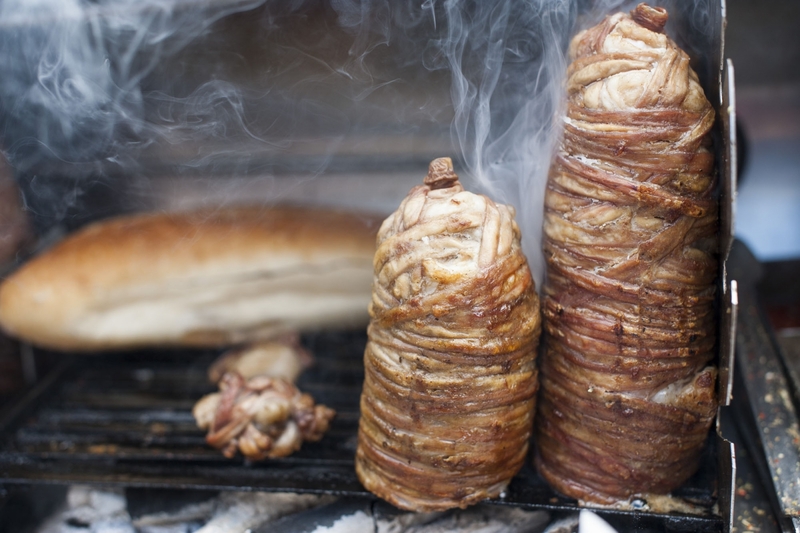 Kokoreç is a large sausage cooked over a slow burning coal fire. The outside is made of lamb intestine and the inside is a mix of organs and fat of the same animal. 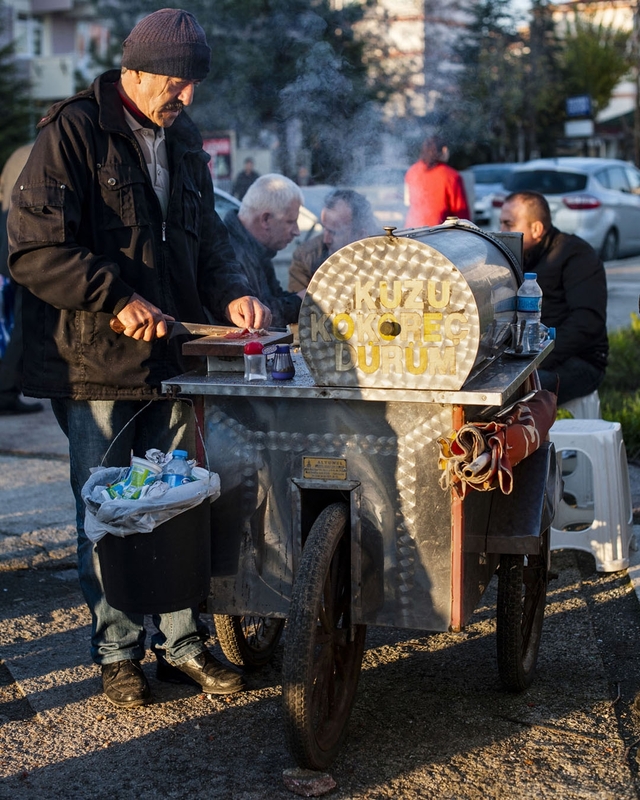 It is a very old street food existing today in both Turkey and Greece (kokoretsi), but changes in food practice have altered it. Sandwiches are common sight in Istanbul as a late night drunk food, but often the meat is mass-produced and frozen, thawing on the barbecue that will eventually cook it. Cemil Tuncay still stuffs his own kokoreç, a practice that takes skill and subsequently is about to disappear. Other small artisans comprise the back alleys of market places in Turkish cities. 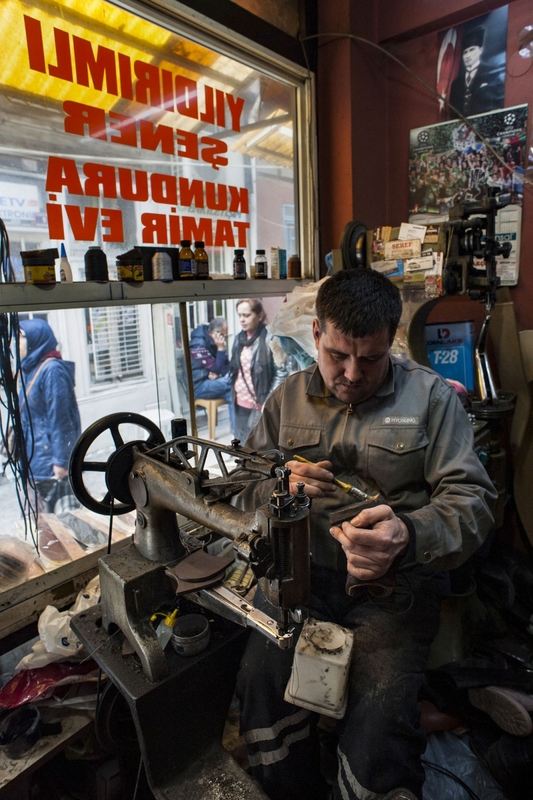 Shoe repairmen, beleaguered by stacks of waiting boots, are kept busy by an industry reliant on low cost repairs being valued over expensive replacements. 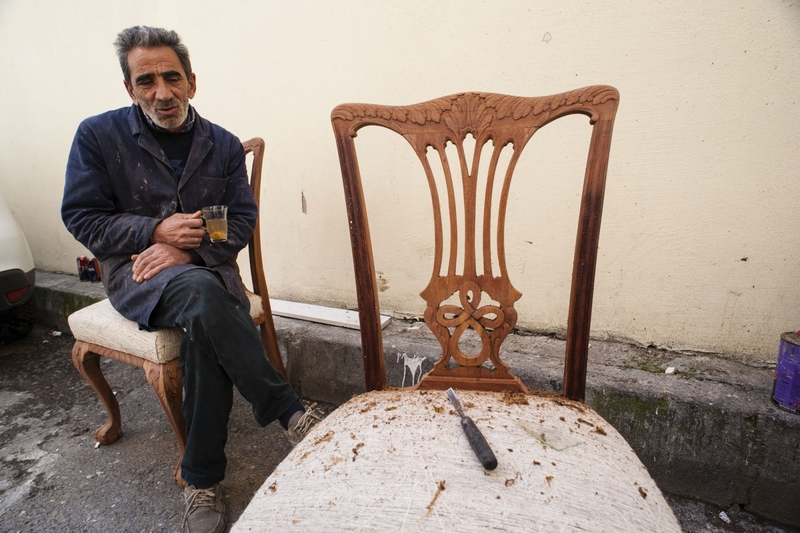 In Istanbul, antique refurbishers reclaim discarded furnishings with new upholstery and carvings, ready to be sold to eager clients, tourists, or shops abroad. Much of the work is done by hand. Before the rise of stainless steel and aluminum cookware, copper reigned supreme as the metal of choice. While cast iron was also prevalent, the heat conductivity of copper provides cooks with control and speed, able to limit a dish from cooking nearly as soon as it is removed from the flame. It does, however, require a protective layer between it and any acidic food. Tin is the most common choice, but those with the knowledge to re-tin are few and far between. While in the United States the cost is prohibitive, there are still a few places in Istanbul that are able to return a pan to its former glory. 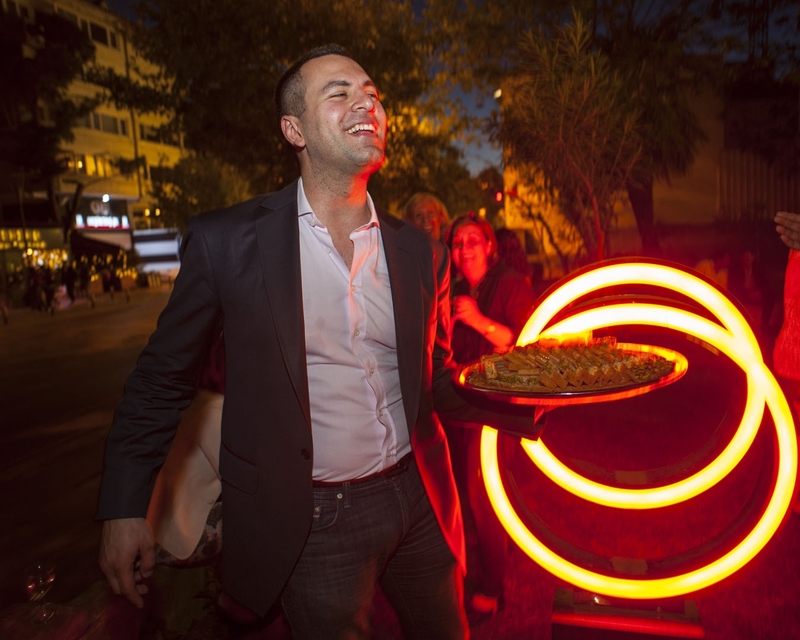 Emir Ali Enç celebrates the opening of his new store in Istanbul while wielding a tray of sweets. Emir founded Soy Copper, a company focusing on making restaurant grade copper cookware using designs from Turkey’s past. He visited the Ottoman palace kitchens at Topkapī to form his designs, creating a product that draws heavily on the past to be competitive with high-end French and Portuguese designs. Many regional delicacies in Turkey stem from the deep past. Every morning at around 6:00AM, Ilhan Usta and his chefs thinly slice veal liver to remove veins and rough textures. 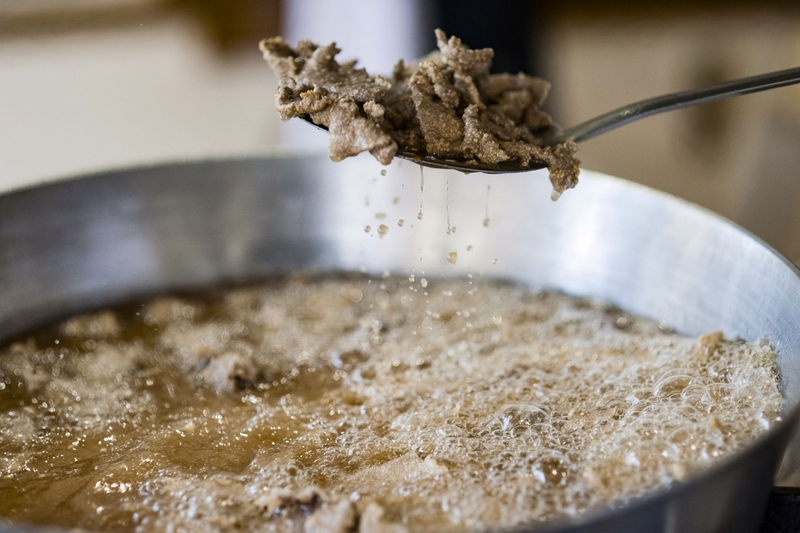 Edirne is famous for its fried liver, a tradition that supposedly stems from ravenous Ottoman armies marching towards Vienna being fed by innovative chefs in search of a way to make an entire cow delicious. After the liver is sliced, it is lightly battered in flour and salt before being deep-fried for little over a minute. The steaming pile of liver is brought to the table with onions, bread, tomatoes, and spicy peppers grown in a nearby village. 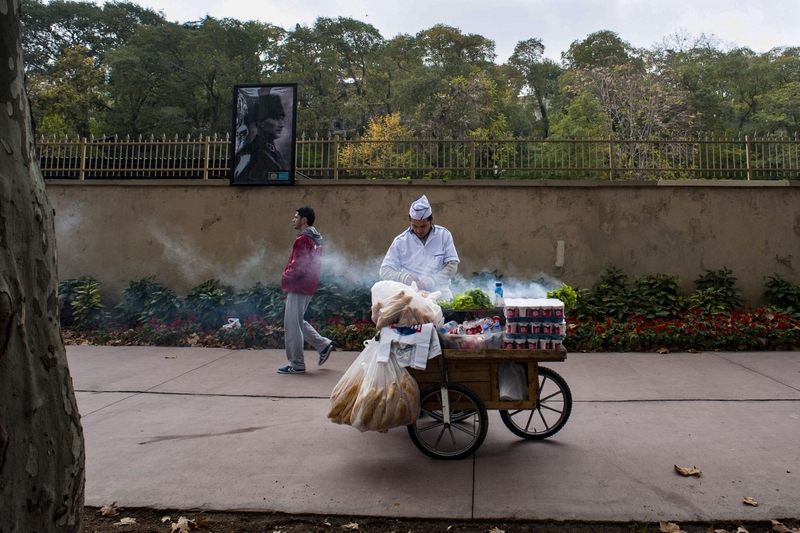 A street köfte salesman preps a sandwich while a portrait of Ataturk looks on. Permitting and gentrification have made it difficult for some food carts to survive a changing urban landscape. Pide is a staple of Turkish fast food and esnaf (worker) restaurants. 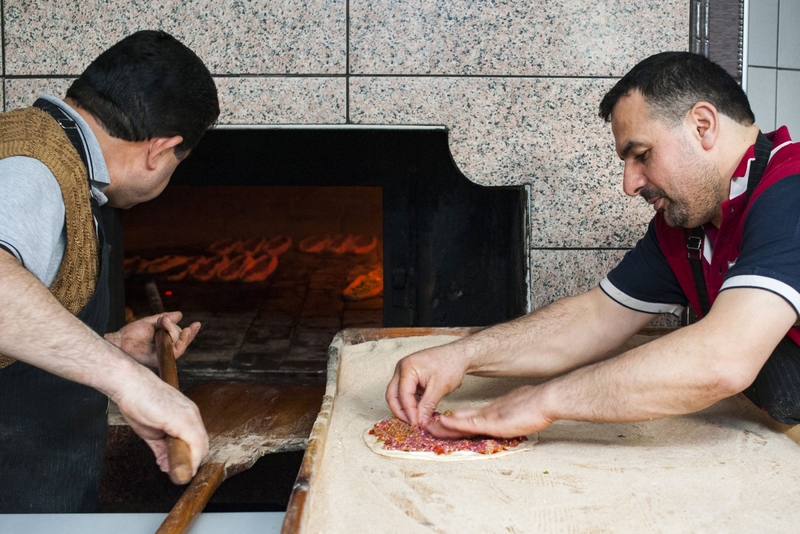 Cities and regions often have their own variations on a common theme of dough and filling baked in a wood fired oven. In Tokat, a form of cottage cheese (çökelek) is mixed with mint, parsley, and onions to make a gooey snack. Similar to pide, börek is a mainstay that can be found in almost every community no matter how small. It is made from tissue paper thin sheets of yufka filled with cheese, spinach, or meat and lots of butter. Like its Greek pita and Bulgarian banitsa relatives, the flaky pastry is best eaten hot out of the oven, perhaps with a cold glass of ayran (salty, diluted yogurt). 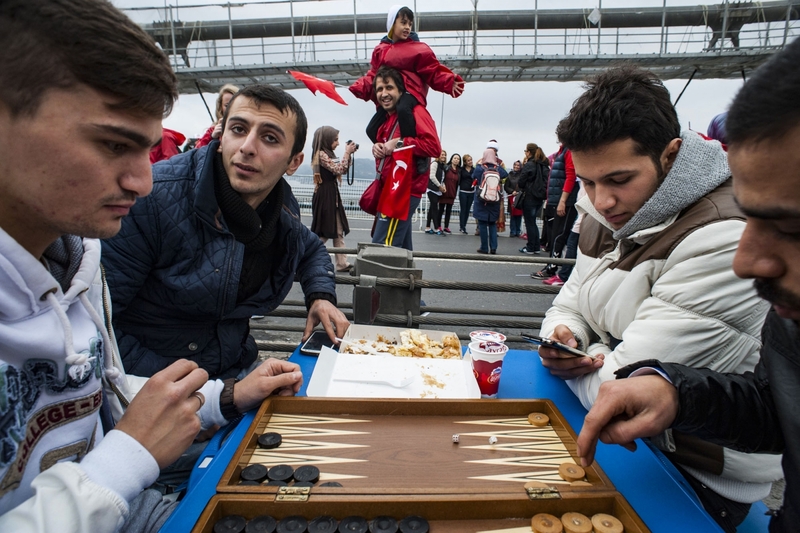 Men play backgammon and eat börek on the First Bosporus Bridge during the Istanbul Marathon. Food and drink are side dishes to conversation in Turkey. Socializing and tea are inseparable, meaning that you will drink countless cups of the strong, dark brew if you spend the day chatting. A chestnut vendor on Istiklal Street in Istanbul rotates his nuts while selling in front of a demolished building. 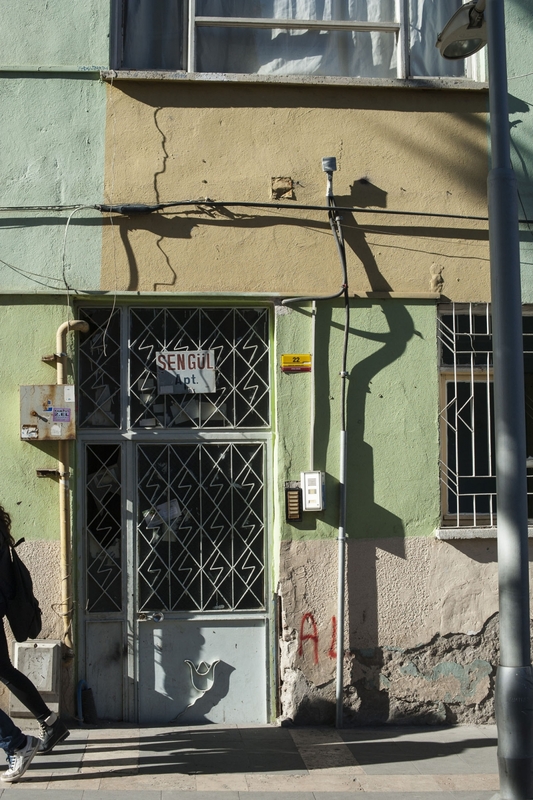 Turkey is undergoing another cycle of rebirth, altering communities constructed during the last wave of urban migration fifty years ago.